GREENEVILLE, Tenn. -- 2B Brian Rey clocked a solo home run and tied a career-best with three runs batted in, but the Princeton Rays completed the sweep to finish off the 2018 regular season, defeating the Greeneville Reds, 8-5, in front of 1,089 fans at Pioneer Park on Wednesday night. 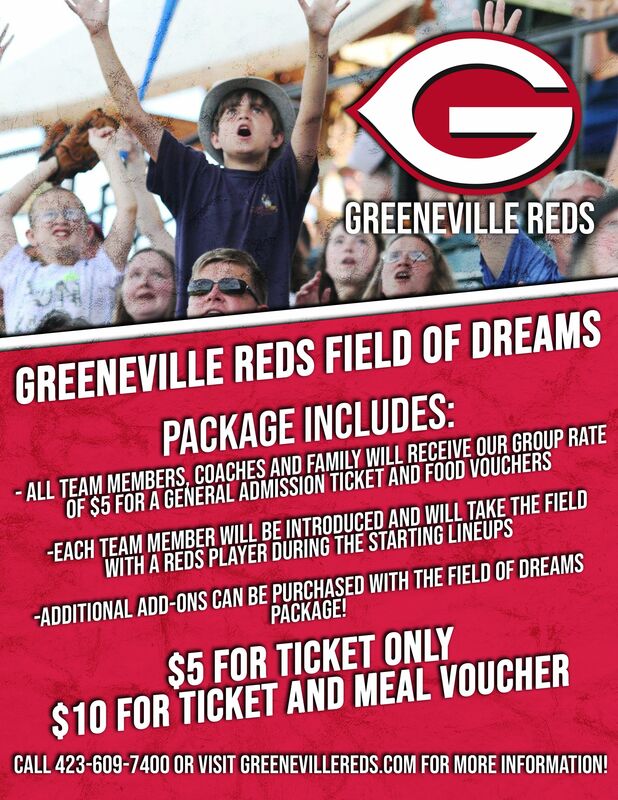 With the loss, Greeneville finishes their inaugural season as a Reds' affiliate at 28-40. Princeton's victory sends them into the postseason with an Appalachian League-best 44-22 clip. Scoreless after one, Princeton once again broke through in the second. 1B Carlos Vargas (1-4, 2 R, RBI, BB) walked and CF Beau Brundage (2-4, 2 R, 2 SO) singled before C Jean Ramirez (1-3, 2B, 2 RBI, BB, SO) smacked a two-run double to left-center to put the Rays ahead, 2-0. Rey (2-5, R, HR, 3 RBI, SO) pulled the Redlegs back within a run in the bottom of the third. With one out, the 20-year-old clocked a solo home run over the left-centerfield fence - his second of the year - to trim the deficit to 2-1. It stayed that way until the sixth when Princeton broke the game open with a six-run frame. After a double by RF Jose Torrealba (1-5, R, 2B, 3 SO), Brundage struck out but a wild pitch allowed him to reach and a throwing error allowed the runner to score, extending the Rays advantage to two, 3-1. A fielder's choice from 2B Jake Palomaki (1-4, R, RBI, BB, SO) and a single by Vargas drove in a pair to make it 5-1. LF Pedro Diaz (2-5, 2B, 3 RBI, 2 SO) capped off the attack with a bases-clearing, three-run double, giving the visitors an 8-1 edge. However, the Reds would not go away quietly. In the seventh, walks to C Rob Boselli (1-2, 2 R, 2B, 3 BB, SO), SS Raul Juarez (1-3, R, RBI, BB), and CF Mike Siani (0-4, R, BB) loaded the bases and Rey came through with a two-run knock to right. DH Justin Bellinger (1-5, RBI, 2 SO) then collected an RBI single to center to draw Greeneville within four, 8-4. 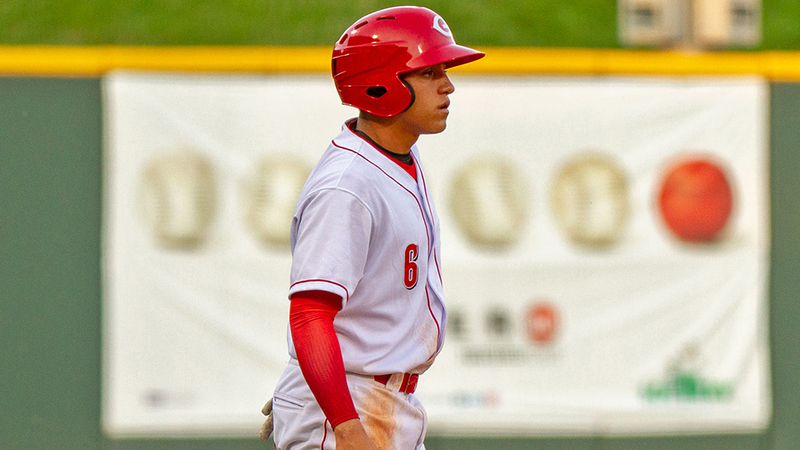 The Redlegs mustered their final tally in the eighth thanks to a run-scoring single by Juarez. 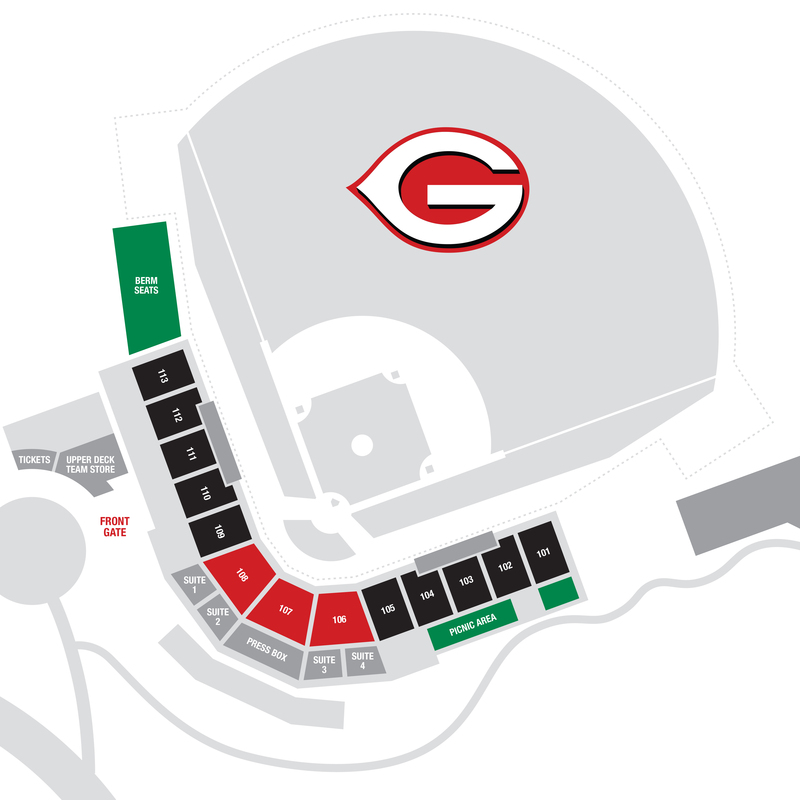 Greeneville managed to rally in the bottom of the ninth - bringing the tying run to the plate - but they could not complete the comeback, as a strikeout ended the contest. RHP Edisson Gonzalez (6.0 IP, 4 H, R, ER, 2 BB, 4 SO) hurled a quality start to earn his first victory in the Appalachian League, while RHP Francisco German (1.0 IP, H, BB, 2 SO) tossed a scoreless ninth to collect his fourth save. 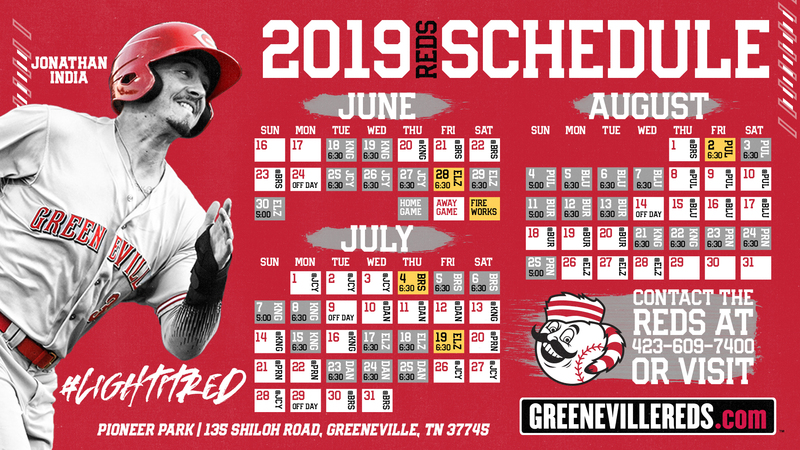 It was a tough-luck loss - his fifth - for LHP Jacob Heatherly (4.0 IP, 6 H, 2 R, 2 ER, 4 BB, 5 SO), as the 20-year-old struck out five and yielded two runs for Greeneville.